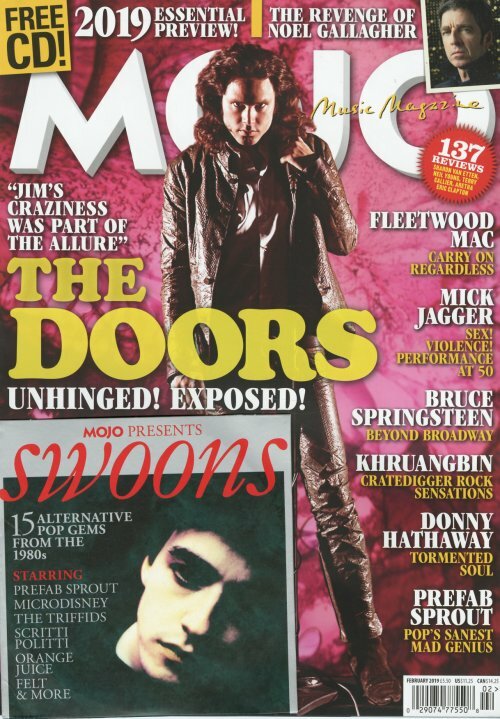 The unhinged story of The Doors is the cover story this month – with lots more features, on Khruangbin, Donny Hathaway, Prefab Sprout, Fleetwood Mac, Noel Gallagher, The Moody Blues, Mick Jagger and the 50th Anniversary of his legendary, Nicolas Roeg-directed film Performance, 2019 music preview and the always deep section of reviews. Comes with the a CD, Swoons – 15 Alternative Pop Gems From The 80s, with Prefab Sprout, Microdisney, Scritti Politti, Orange Juice, Felt and more. © 1996-2019, Dusty Groove, Inc.